We Can Fix Them Today! Frozen Burst Pipes Denver: King Rooter & Plumbing offers expert frozen and burst water pipe repair and replacement. Our licensed pipe repair professionals will fix your frozen, burst, and leaking pipes fast! 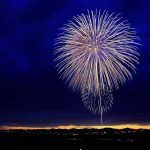 We service the entire Denver and Boulder metro areas. Colorado experiences cold spells during the winter months and this is when your home is susceptible to frozen and burst pipes. 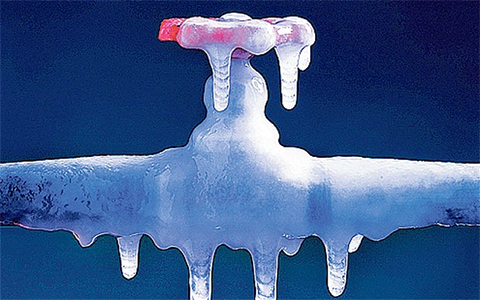 If you have burst or frozen pipe problems, call us today, we’re here to help! Emergency frozen and burst pipe repair services available. Frozen and burst pipes are a significant problem in Colorado during the winter months, but you can prevent this from happening most of the time. Furnaces that fail to turn on allowing pipes to freeze when you are not home. Poor insulation in walls of your home. Basements, crawl spaces, and garages are common causes. Forgetting to leave your heater on during cold days. Make sure your furnace is on during cold days, and when you are away. Make sure your walls, crawl spaces, garages, basements, ceilings, and pipes are well insulated. Keep a small trickle of water running in the highest faucet in the home. This small amount of running water through your pipes is enough to keep them from freezing and bursting. Have your sprinkler lines blown out in the fall before winter. Turn of main water shut off valves immediately and turn on the closest faucet to the burst pipe to relieve pressure on the pipe. Know where all the water shut off valves are for your toilets, ice maker, refrigerator, and water heater. If you reside in an multi dwelling housing such as an apartment or condominium, have your HOA educate residents about shut off valves and other preventative measures. King Rooter & Plumbing offers solutions to insulate your water pipes from Colorado’s freezing temperatures. Hot water pipes that are not properly insulated or worse – not insulated at all, could be costing money and damage to your home. Uninsulated pipes could be costing you up to 40% of your monthly home energy bill, and a burst pipe could cause severe damage to your home costing you thousands of dollars! 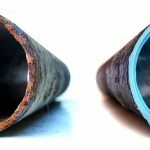 Have King Rooter & Plumbing install water pipe insulation and heat tape today to prevent your water pipes from losing heat. King Rooter & Plumbing’s pipe insulation solutions will save you money, and will ensure that your hot water heater works fast and efficiently. Turn on a faucet nearest to the pipe that has burst. This will relieve pressure to the burst area and slow down the flow of water spraying from the pipe. Meanwhile you need to shut off the water valve to stop the flow of water from the burst pipe. If a major amount of water has collected on your floor, don’t hesitate to call 911 or emergency help. Appliances that run on electricity can cause a life threatening situation. Call a plumber fast to get the burst pipe repaired, and to investigate why the pipe burst. If you suffered water damage to your floor, carpet, walls call a water damage restoration company to dry out everything to prevent mold and mildew from forming. You may need to replace your carpet, flooring, and walls if they require it. 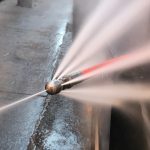 Our Denver Frozen and Burst Pipe experts are ready to repair or replace your frozen and burst pipes in Aurora, Arvada, Boulder, Brighton, Broomfield, Centennial, Commerce City, Denver, Englewood, Frederick, Firestone, Golden, Glendale, Henderson, Highlands Ranch, Lafayette, Lakewood, Littleton, Longmont, Lone Tree, Louisville, Northglenn, Parker, Thornton, Westminster, Wheat Ridge, CO.